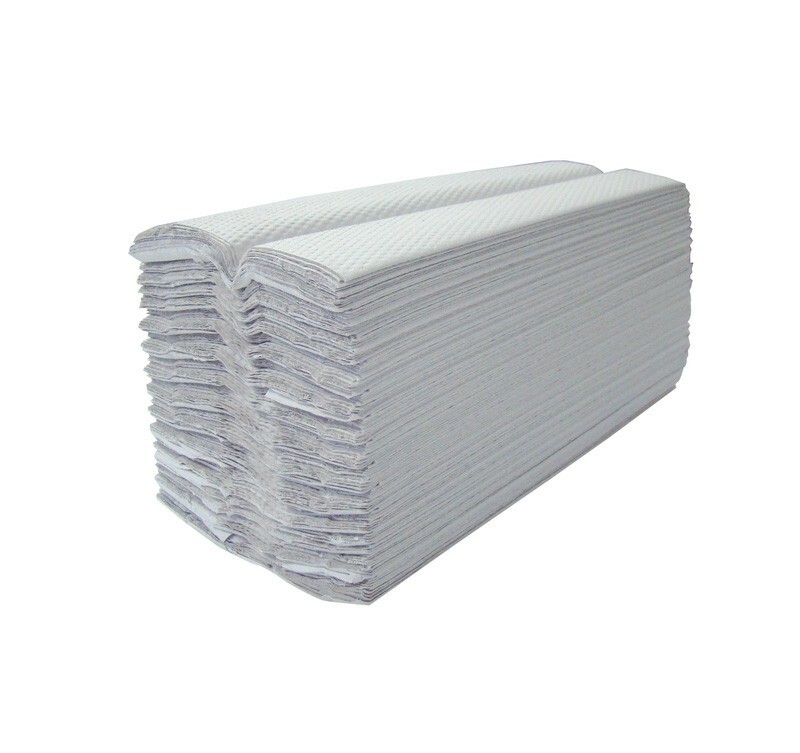 The System Hygiene White C-fold Paper Hand Towels are dispensed folded and need to be opened before use. 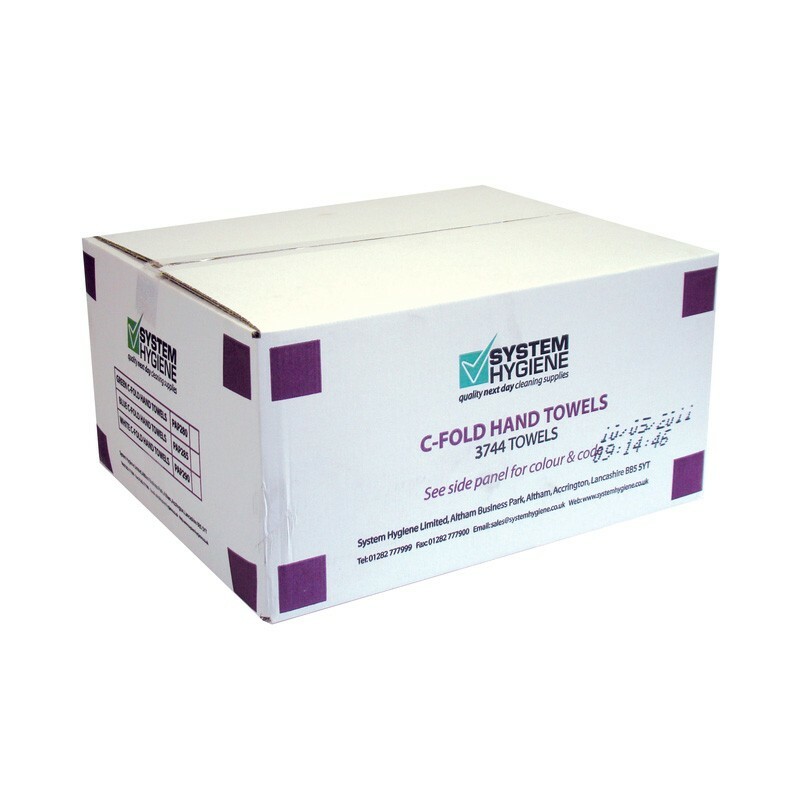 The C-fold system is one of the most popular hand towels availble on the market and is commonly used in schools, public washrooms, dentists, doctors and by local governments. There are 3744 towels per case, which is approximately 1000 more than the industry standard meaning these towels are excellent value for money. This is a high quality white paper that is designed for use in a high quality, executive washrooms. This product is designed to fit both a metal and plastic hand towel dispenser, as well as most other hand towel dispensers on the market. 3744 towels per case, white, 1ply paper. 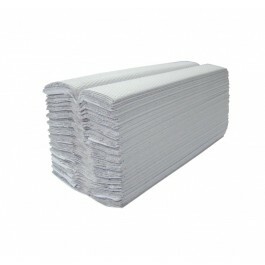 The most established and widely used hand towel system on the market. Large towel size means less are used for hand drying. Towels fit most makes of hand towel dispensers on the market. C-fold hand towels also available in green and blue. 3744 Towels per case - excellent value for money.